Made in Australia. Round neck,winter weight double knit, 230gms/sqm. 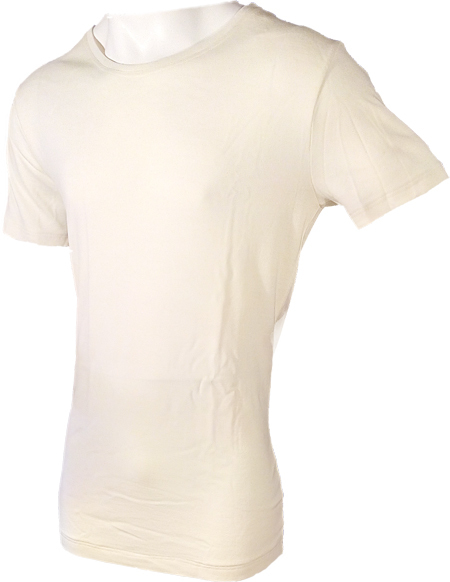 100% fine merino wool, shrink-proof machine washable. Natural colour. 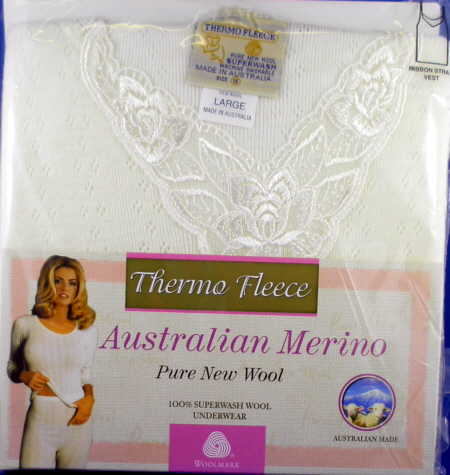 Made in Australia.Winter weight double knit, 230gms/sqm. 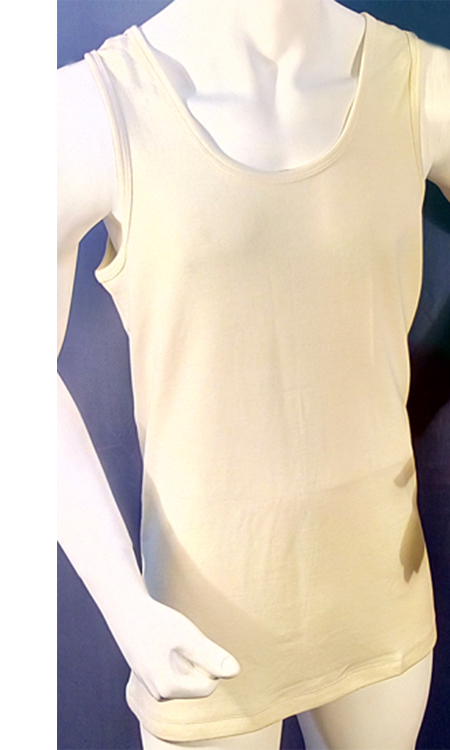 100% fine merino wool, shrink-proof,machine washable fly opening.Natural colour. 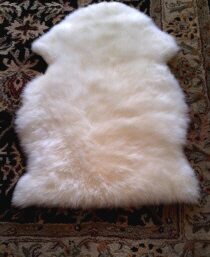 Made in Australia.Double knit 230g/sqm. 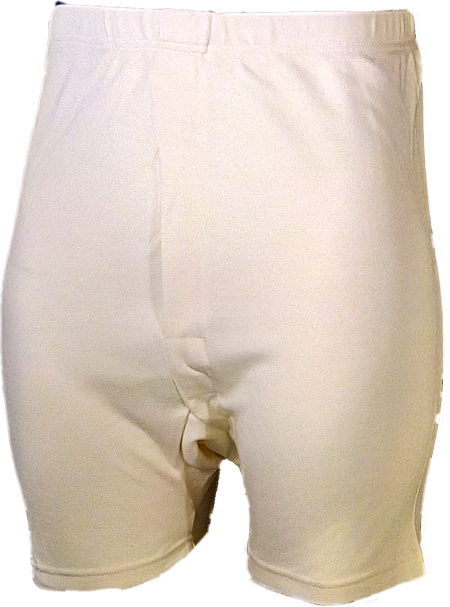 100% fine merino wool, shrink-proof machine washable, fly opening. Natural colour.